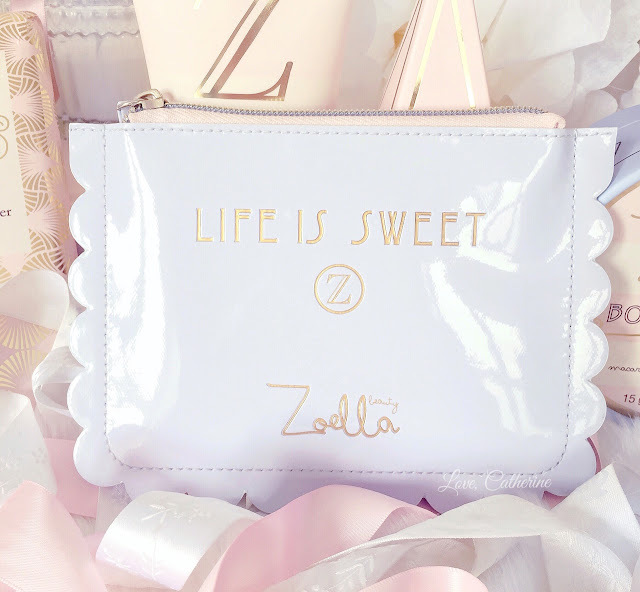 I definitely wasn’t the only one who went totally heart eyed when YouTube Queen Zoella showed the first few glimpses of her new Sweet Inspirations beauty range. The soft pink and baby blue, French patisserie style packaging is utterly adorable and the macaron scented concept had me instantly sold. 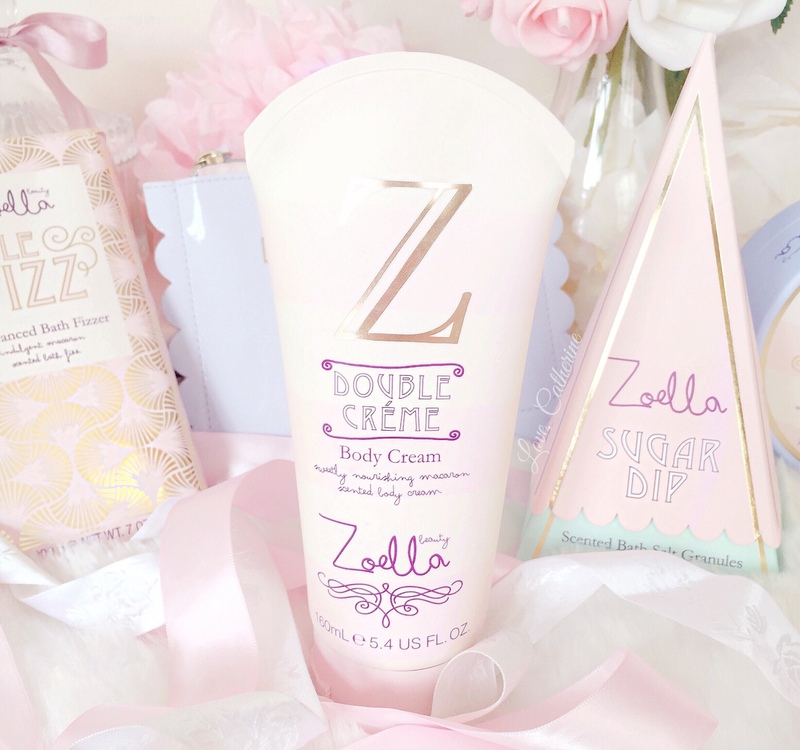 When it comes to bath products, sweet, yummy and indulgent scents are my all time fave. I was a little worried these might have a bit of an artificial, sickly sweet scent but nope, they actually smell quite expensive, and similar in fragrance to the Laura Mercier bath products. The range has a delicious almond and vanilla scent that smells like fluffy marshmallows and creme brulee, heaven!! 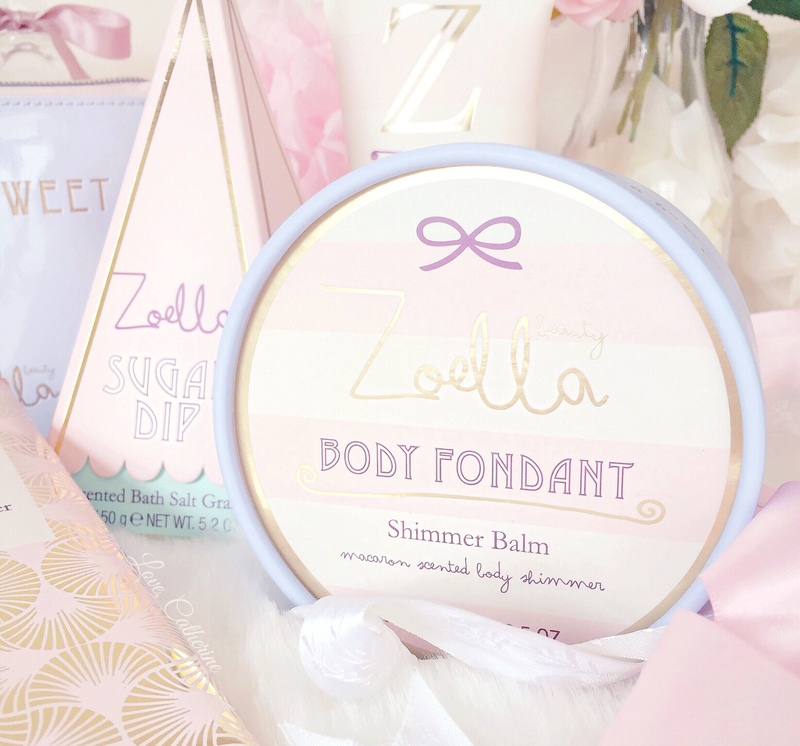 I actually gave the early online launch a miss, purely because I was being a diva as they didn’t have the Body Fondant available, which was one of the products that I wanted most. So I eagerly waited until my local Superdrug had the range in stock, which I was so impatient for but it was worth it. The product is essentially a creamy balm that you massage onto your skin and it leaves behind a sunkissed, shimmery glow. It’s actually a lot prettier and more natural looking that I’d expected and there’s no tacky chunks of glitter either! It’s housed in a cute round box and comes with an adorable powder puff, with lovely little lace details on it, that you use to apply the balm. It’s the most expensive product in the collection at £10, which I feel is slightly overpriced compared to the rest of the range. I also think the packaging is perhaps a little large, as cute as it is, or it would’ve been a perfect holiday product! 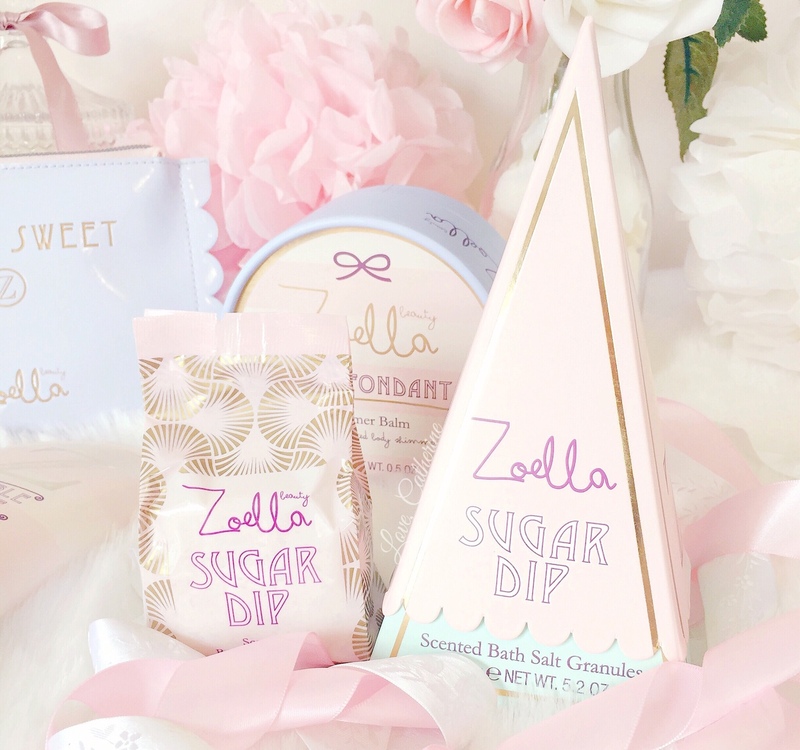 Whoever designed the packaging in this range need a round of applause and an extra cookie, and Sugar Dip is one of the products that has really unique, quirky packaging which really sells it. The cone shape and scalloped edges reminds me of the funfair and candyfloss for some reason! You open it to reveal what looks like a little packet of bon bons or pick ‘n’ mix sweets, but is actually a very yummy smelling package of bath salts. You simply sprinkle them into your bath and they slowly dissolve leaving you and your bath smelling practically edible. Using these is like dipping into a bath of sugary yumminess and now I totally understand the name. Le Fizz looks like an old fashioned style candy bar that I almost expected to find a golden ticket hiding inside when I peeled back the paper. Sadly there wasn’t any real chocolate, but cute little cubes of bath fizzers instead, that you break off and pop into the bath to make it smell super delicious and indulgent. I love using these as an added extra to bubble bath products. I’ll admit, the lazy gal in me really dislikes using body moisturisers and I have tons of them that are lying in my drawers practically unused. So did I really need another? Not particularly, but cute packaging always gets the better of me. Double Creme is like lathering fresh whipped cream over your body and leaves behind the same heavenly vanilla, macaron inspired scent. It really reminds me of my Laura Mercier Creme Brulee Souffle Body Creme, and I might actually get more use out of this than the rest of my lonely body cream collection. And of course I couldn’t resist this adorable little pouch, the cute scalloped edges just got me and I love the duck egg blue colour. It’s labelled as a beauty bag and would be perfect for popping into your handbag for storing little bits and bobs into it like hair ties, bobby pins and your current lipstick etc. 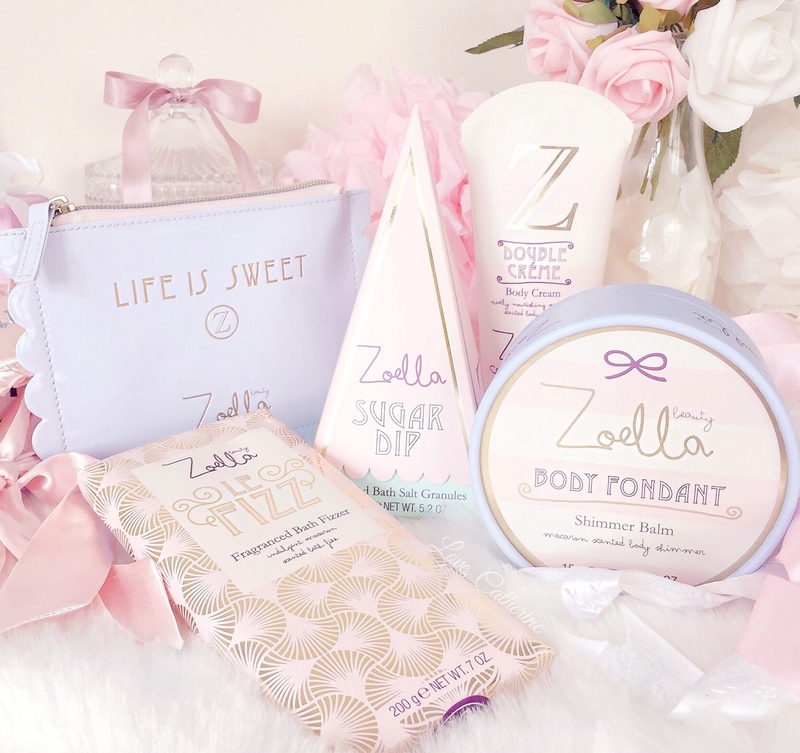 Which is your favourite Sweet Inspirations product? 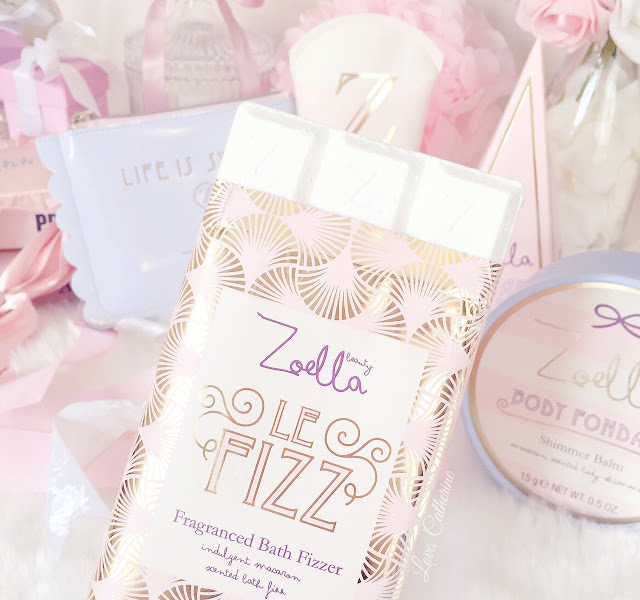 The Bath Latte would be my first pick out of this range, it sounds amazing and I love the packaging!